Audi India has launched a more luxurious version of the A6 called the Lifestyle Edition. It packs a couple of extra features to keep the luxury sedan relevant in the face of more modern rivals such as the BMW 5 Series and Mercedes-Benz E-Class. Chief among the new additions is a rear seat entertainment package with removable screens and an Espresso Mobil coffee maker. Priced at Rs 49.99 lakh, the A6 Lifestyle Edition could be the final send-off for the current-gen model. The next-gen A6 is set to arrive in the country later this year. Audi A6 prices start at Rs. 49.99 lakh for petrol and goes upto Rs. 50.01 lakh. The prices of A6 diesel variants start at Rs. 51.01 lakh and the top-end diesel is priced at Rs. 51.01 lakh. 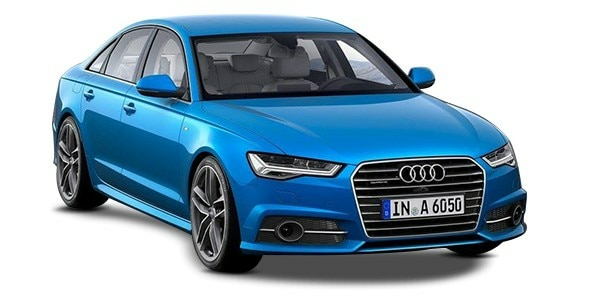 Audi A6 is available in 3 variants and 5 colours. Share your experiences with A6? The claimed ARAI mileage for the Audi A6 petrol is 15 kmpl, and for the Audi A6 diesel is 18 kmpl. Q. What is the comparison between Divo and A6? Q. What about its drivetrain? Q. Does it offers remote key parking like as BMW?? Sitting above the A4 sedan, the Audi A6 comes in the price range of Rs 45.90-54.84 lakh (ex- showroom, Delhi). The key exterior features of Note include the LED matrix headlamps, electrically operated sliding and tilt sunroof, and large 18-inch alloy wheels. Sleep inside the cabin and Audi A6 greets you with ultra-modern dashboard replete with exquisite material and wooden inlays, floating Centre console, very functional MMI, electrically adjustable Multifunctional Steering wheel, and four-zone automatic climate control. In term of engine and transmission options, Audi A6 comes equipped with a 1.8-liter TFSI petrol engine (188bhp/320Nm) and a 2.0-liter TDI diesel engine (188bhp/400Nm). Both of these powertrains come mated to a 7-speed dual clutch automatic transmission, channelizing the drive to the front wheels of the car. Pitted against the likes of BMW 5 series, Mercedes E class, and Jaguar XF, Audi A6 is doing reasonably well in Indian market. Priced at Rs 49.99 lakh (ex-showroom), the new variant gets an espresso machine! Discounts Of Upto Rs 10 Lakh On Audi A3, A4, A6 And Q3! Except for the maintenance part, i dont have any qualms about A6. One of best cars i have ever driven. Audi a6 is superb car to drive it and extremely comfortable.